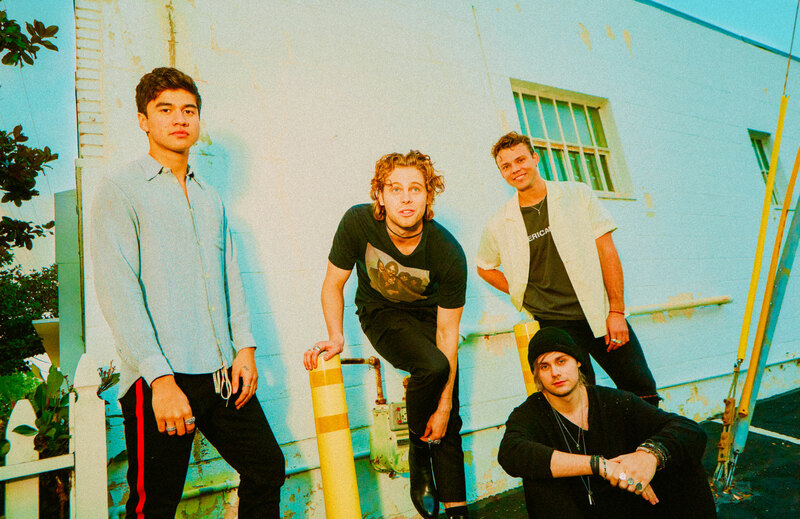 Aussie legends 5 Seconds Of Summer have been confirmed to perform live at this month’s 2018 ARIA Awards. Still riding high on the international success of their smash single ‘Youngblood’, the band will return home from Europe to play the track live at this year’s ceremony, on Wednesday November 28. The track is up for ‘Best Pop Release’ and ‘Apple Music Song Of The Year’, while the band has picked up nods for both ‘Best Group’ and ‘Best Australian Live Act’. In other news, the band’s label EMI has confirmed that ‘Youngblood’ has just notched up a fresh sixth platinum certification, meaning it’s now sold in excess of 420,000 units in 5 Seconds Of Summer heartland. To ensure the boys don’t go home empty-handed on the night, you have the chance to vote for them in both the ‘Apple Music Song Of The Year’ and ‘Best Australian Live Act’ categories by clicking HERE. The 2018 ARIA Awards take place at The Star Event Centre in Sydney on Wednesday November 28.